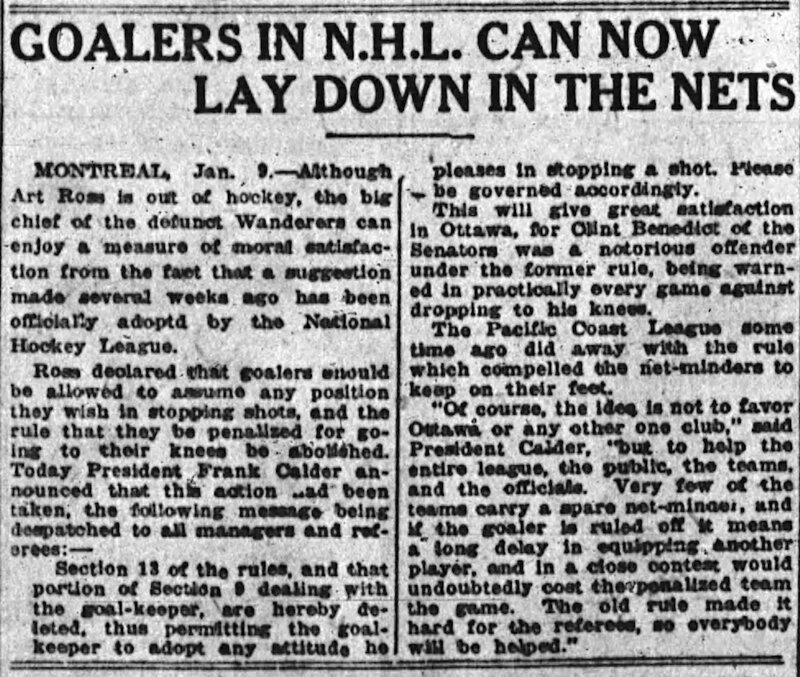 On this day in history 100 years ago, on January 9, 1918, just three weeks into its inaugural season, the NHL made an important rule change. 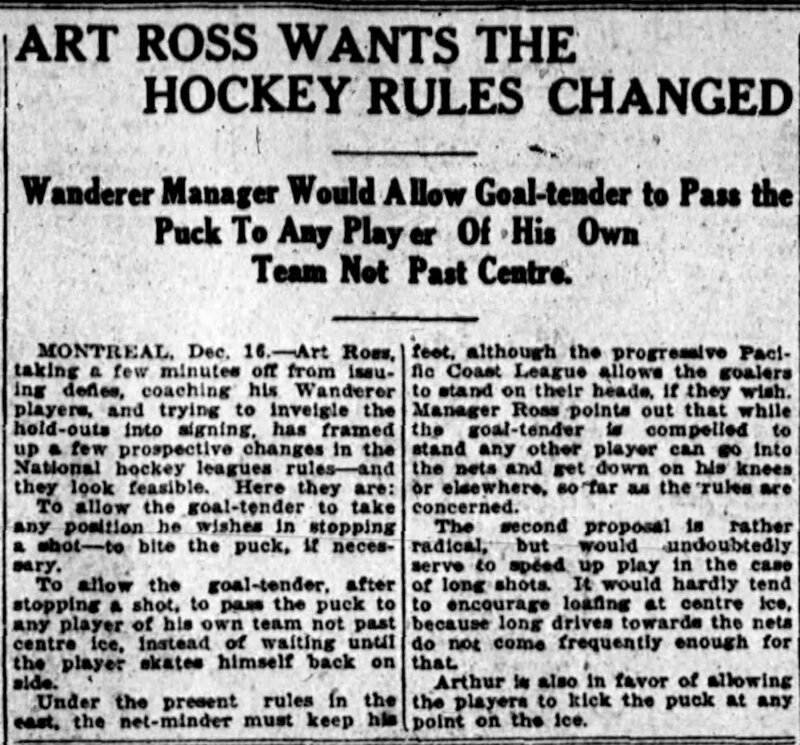 It would now allow goalies to leave their feet and fall to the ice to make a save. 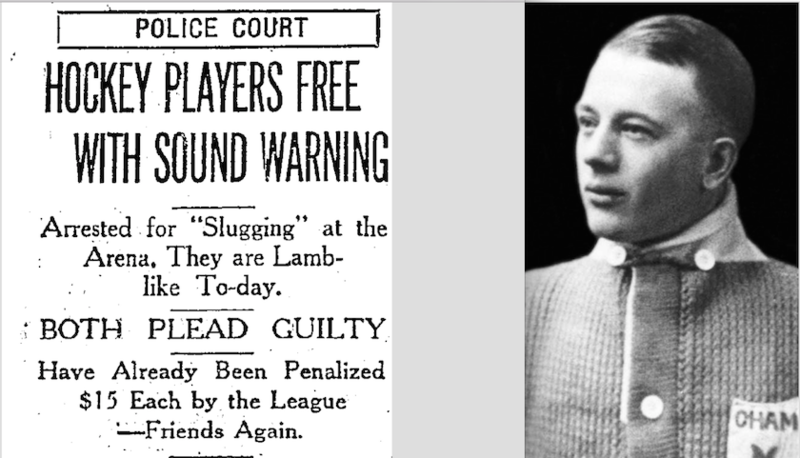 This rule change was the focus of a story I wrote last month for the New York Times. 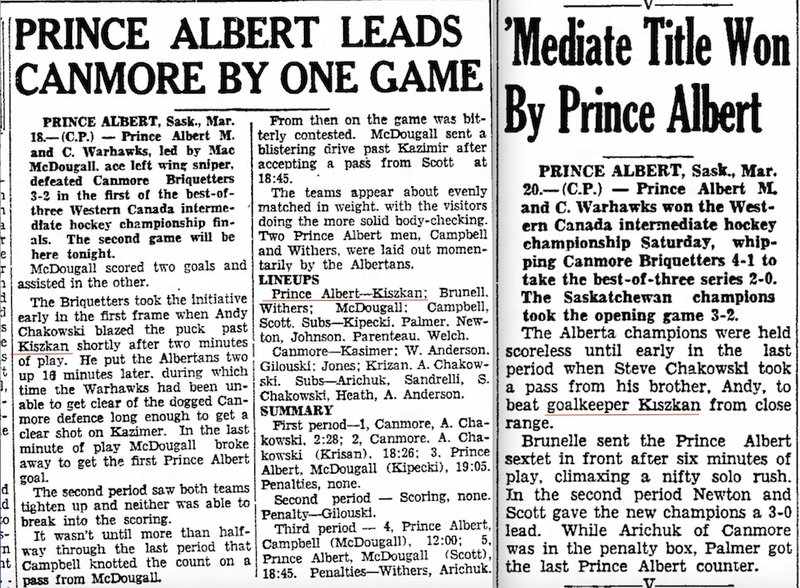 It’s also in a story I wrote three years ago for this web site. 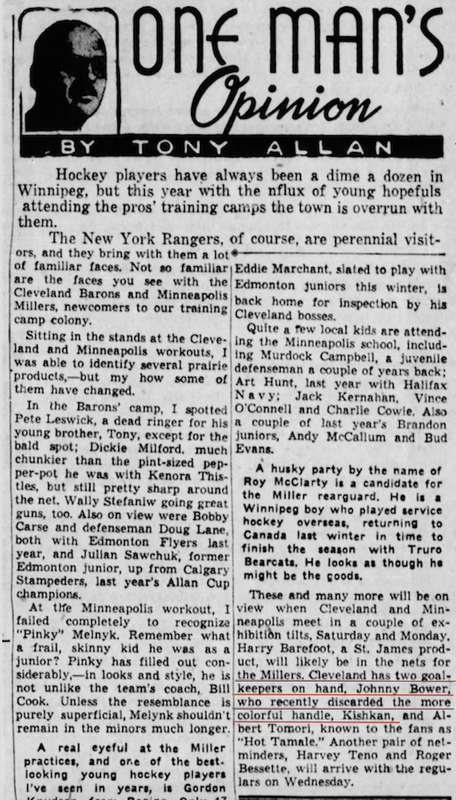 To make the New York Times story different, I sought out several NHL goaltenders past and present to speak with. 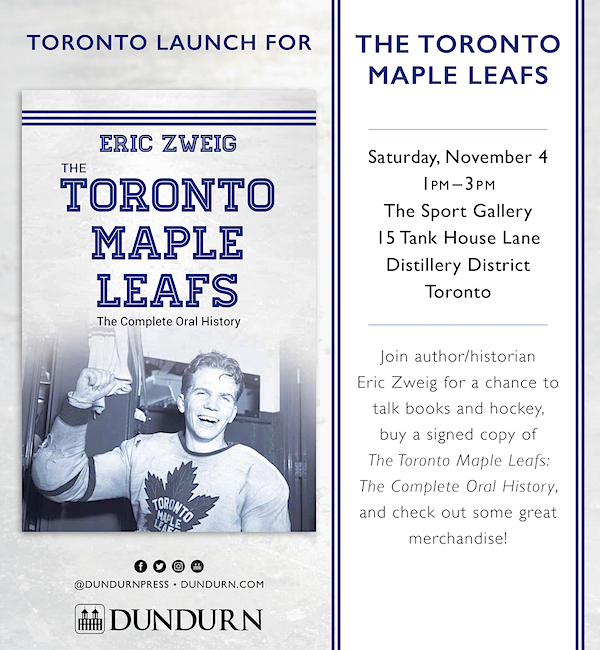 This gave me my first opportunity to talk with “Mr. 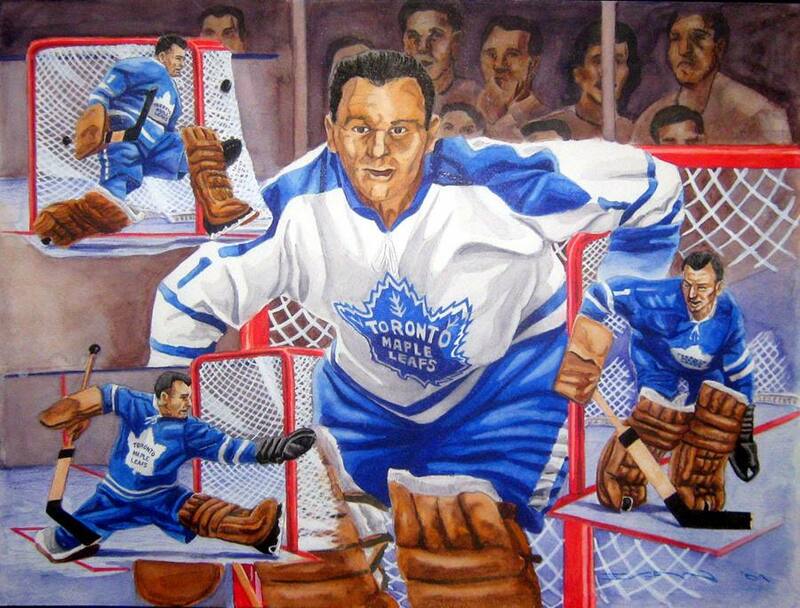 Goalie” Glenn Hall … and what would sadly turn out to be my last chance to speak with Johnny Bower. 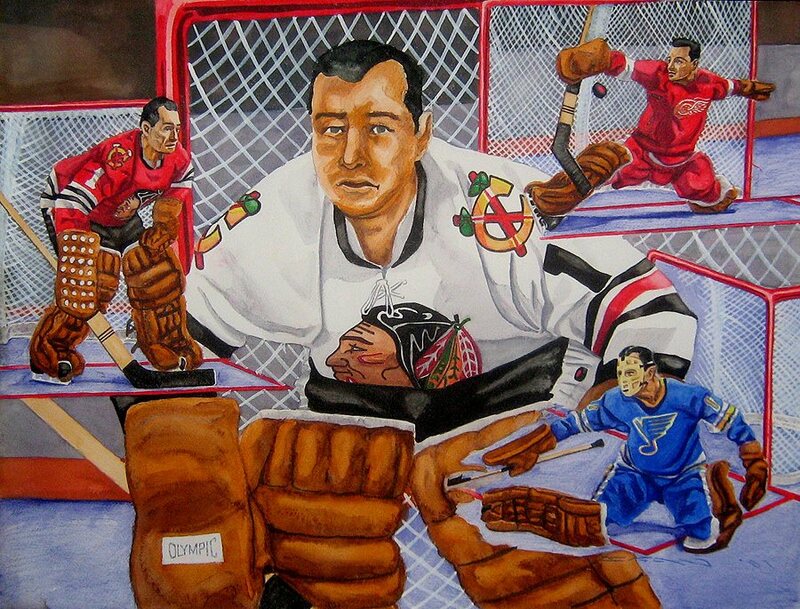 Paintings by Darrin Egan. Visit him on Facebook. 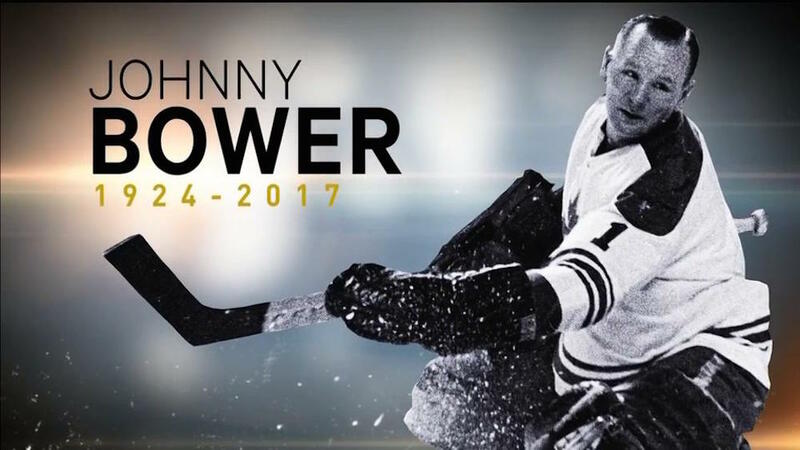 I spoke to Johnny Bower on October 17. 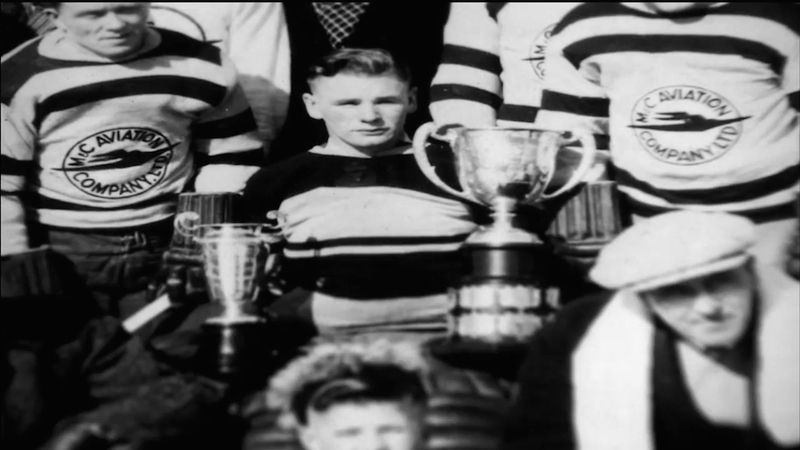 It was a couple of weeks before his 93rd birthday. He answered the phone, but for the first time (and admittedly, I’ve only spoken to him a few times before), he sounded old. I explained that I would like to ask him a few questions, and he told me he really didn’t like to do interviews anymore. He wasn’t sure he still had the memory for it. I said I’d ask him one question, and if he didn’t feel he could answer, we didn’t have to continue. I asked him my question, and one thing quickly led to another. 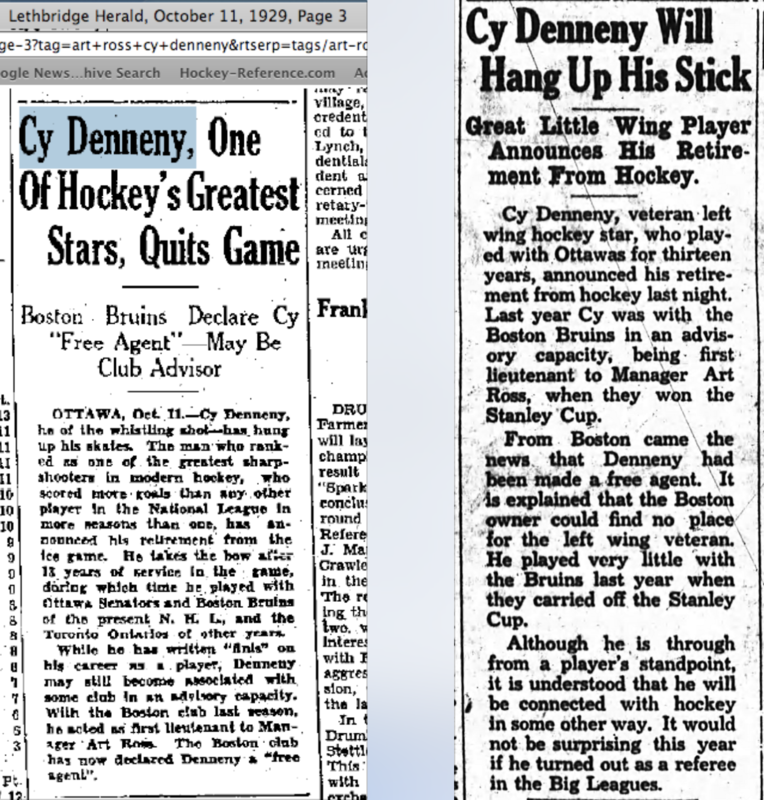 No problem with his memory that I could detect! 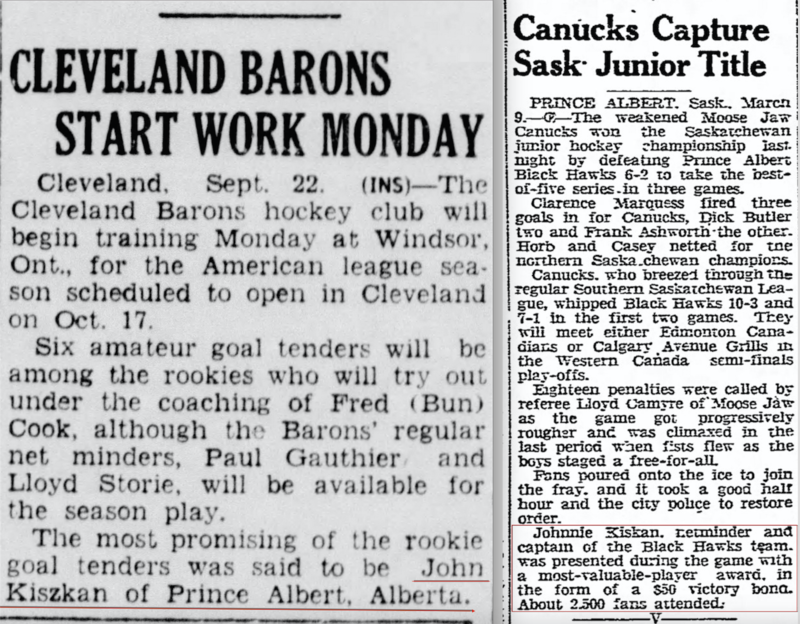 So would Mr. Goalie – a man who has a reputation for being sick to his stomach before nearly every game he played – still have wanted to be a goalie if the rules had required him to remain standing? 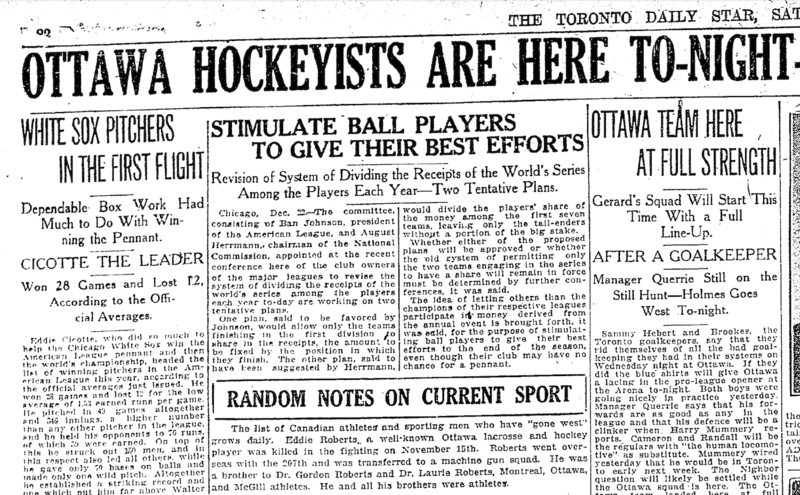 For close to 90 years, the NHL noted the date of its creation as November 22, 1917. It’s easy enough to understand why. 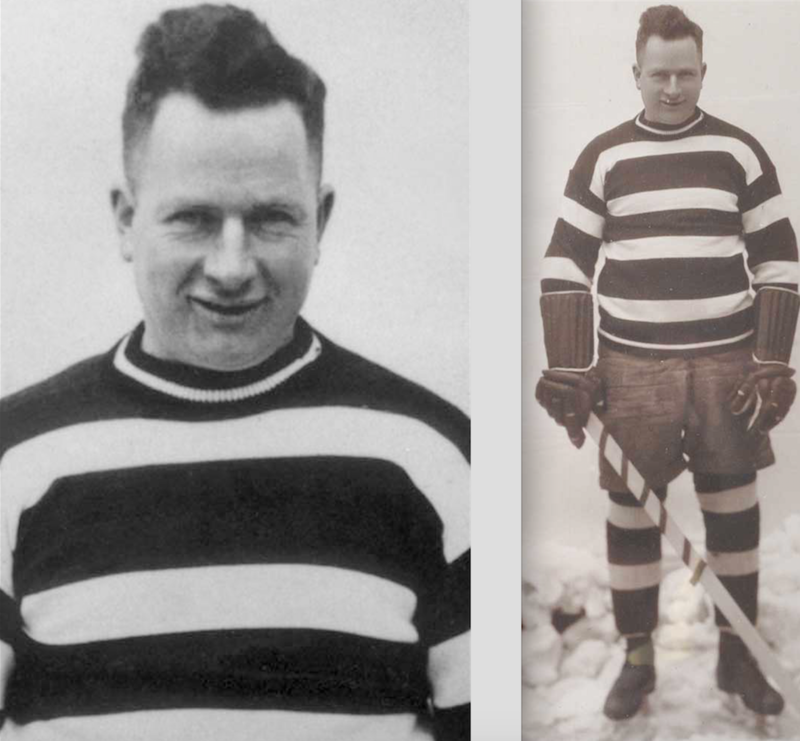 Elmer Ferguson of the Montreal Herald long claimed to be the lone observer still on site at the Windsor Hotel in Montreal that day when the formative meetings wrapped up. 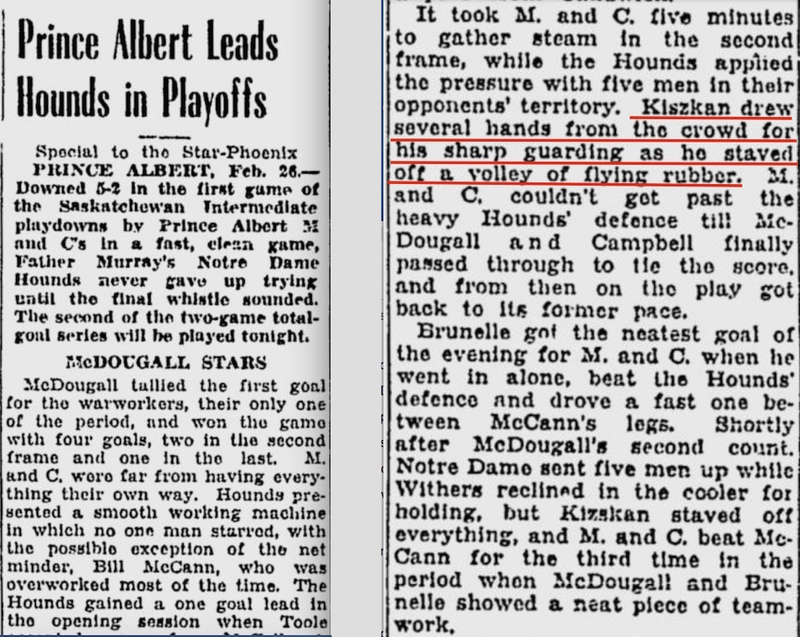 Much of what is known about the formation of the NHL comes from stories he wrote about it over the years – and he always wrote November 22. 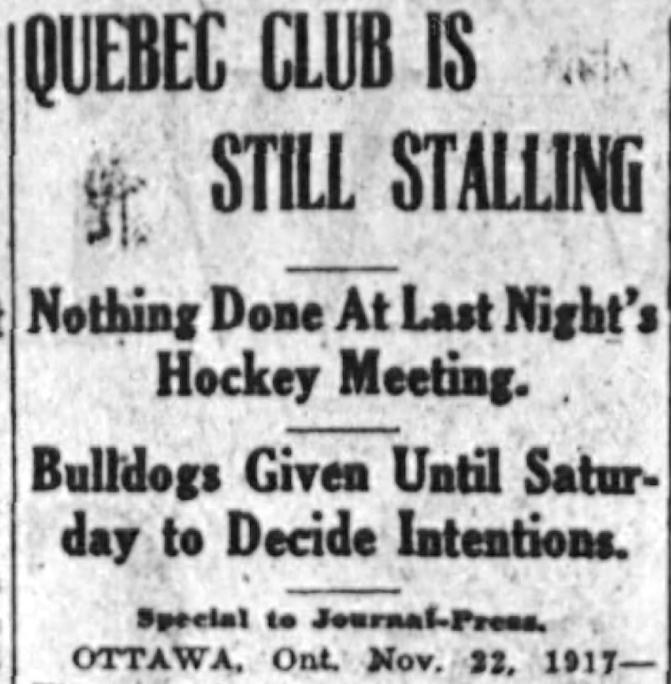 From the Montreal Gazette, November 22, 1917. 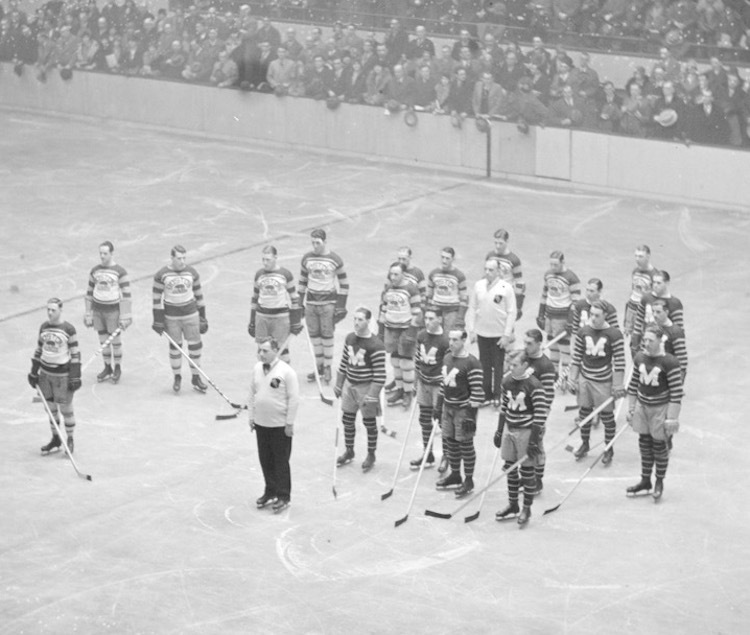 More than just the word of Elmer Ferguson, we have the writings in the original Minute Book of [the] National Hockey League housed at the Hockey Hall of Fame. 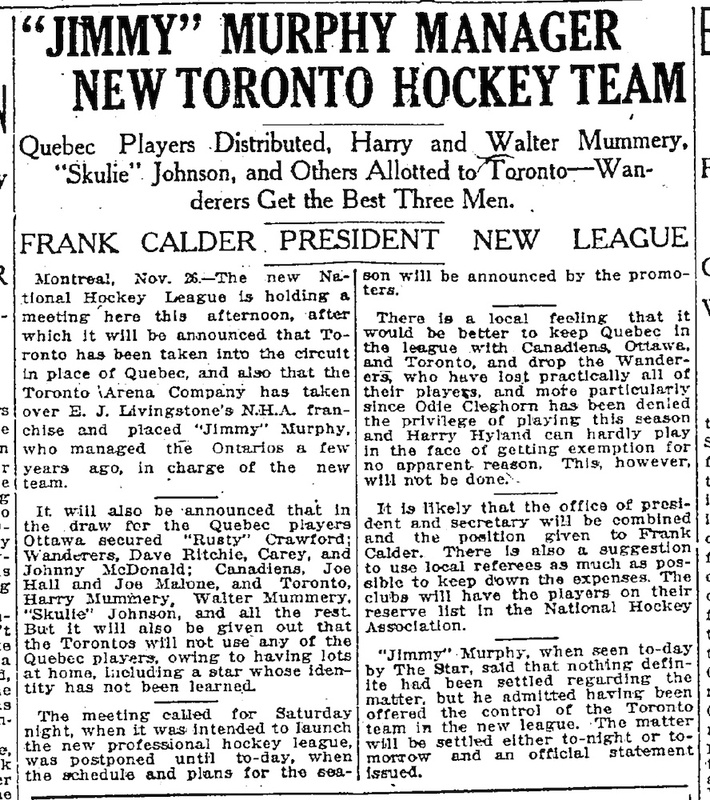 Page 1 begins: “At a meeting of representatives of hockey clubs held at the Windsor Hotel, Montreal, November 22, (the notation 1917 appears to have been written in later), the following present…” It then goes on to list those in attendance and the steps they took to form the National Hockey League as a replacement for the old National Hockey Association. indicates that nothing was done at the meeting on November 22. 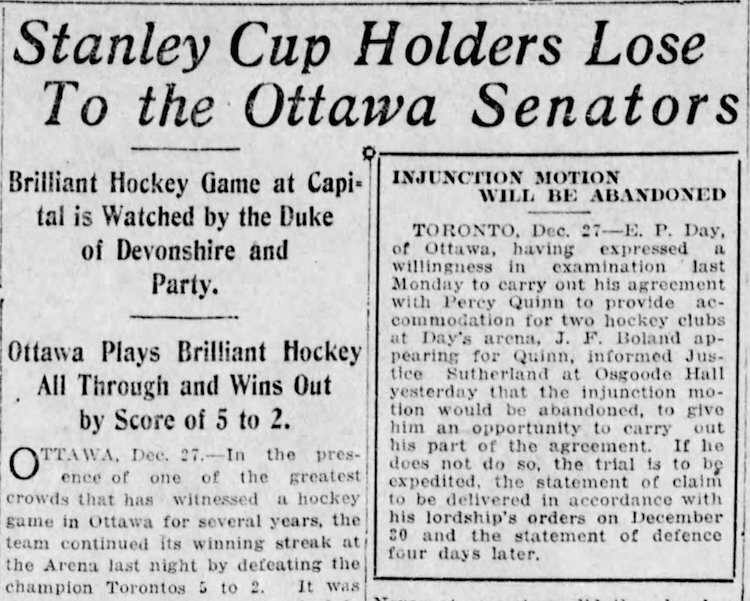 The Ottawa Journal, quoting from the Montreal Star on November 26, 1917. 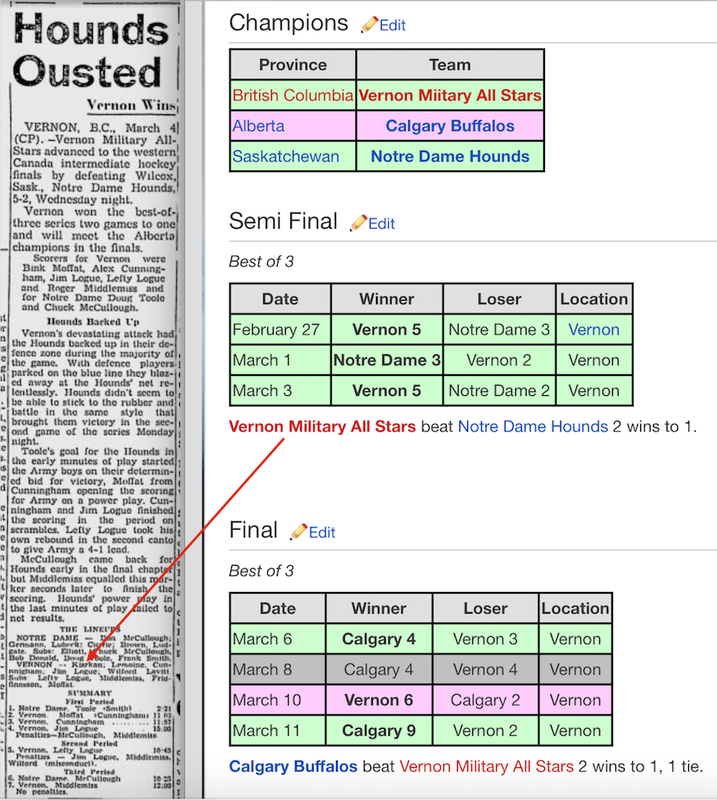 So, clearly, the date of the actual announcement of the NHL was known to those who had searched for it, and yet the formation date of November 22, 1917, remained part of the league’s “official” history. 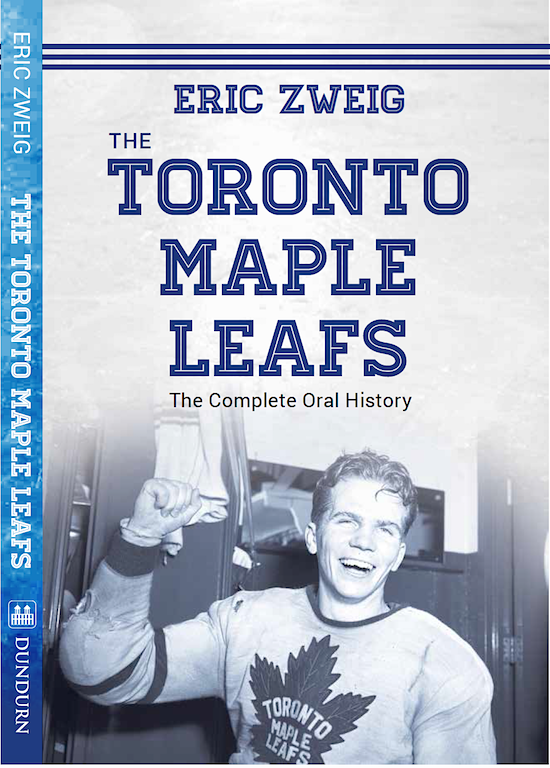 To the best of my knowledge, this didn’t begin to change until after the publication of Deceptions and Doublecross: How the NHL Conquered Hockey, by Morey Holzman and Joseph Nieforth, in 2002. 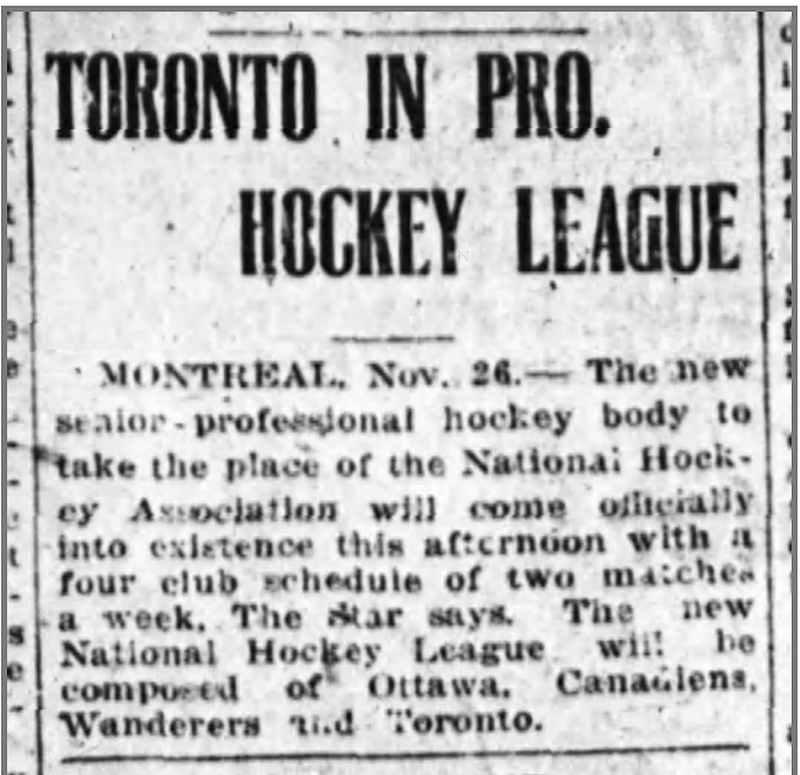 This article from the Toronto Star on November 26 states that the meeting on November 24 was postponed and that plans for the new season would be announced that afternoon. 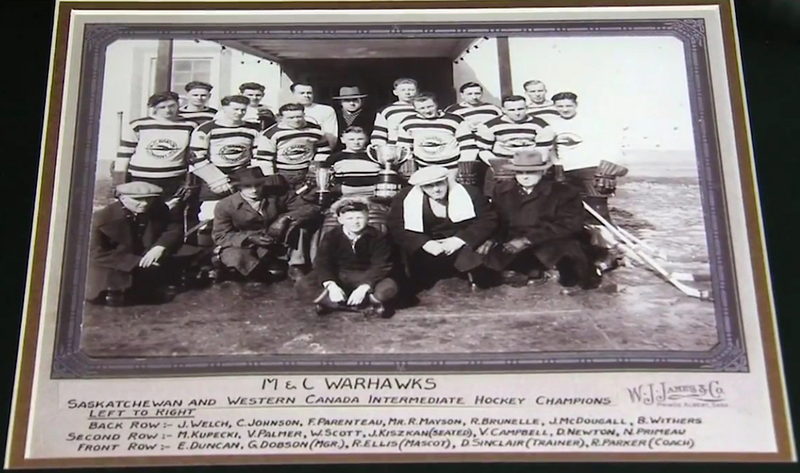 It’s long been said that the NHL was created to rid the others owners of Toronto’s meddlesome Eddie Livingstone. That appears truly to have been the case. 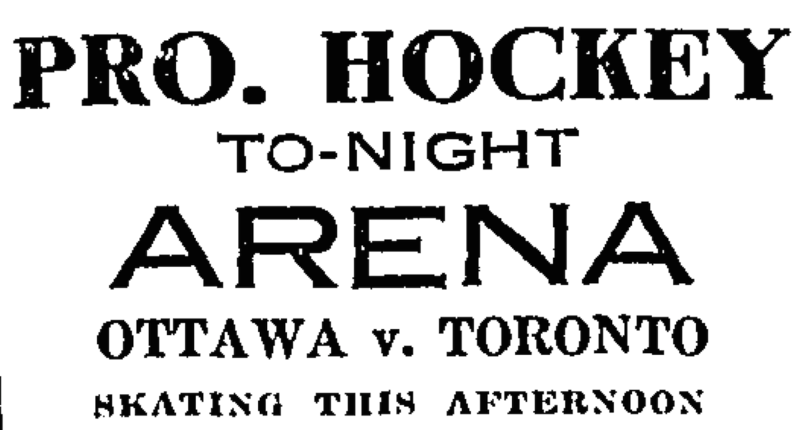 In Deceptions, it’s stated that in the Ottawa Citizen on November 20, 1917, Tommy Gorman had made it known that the likely successor to the NHA would known as the National Hockey League. 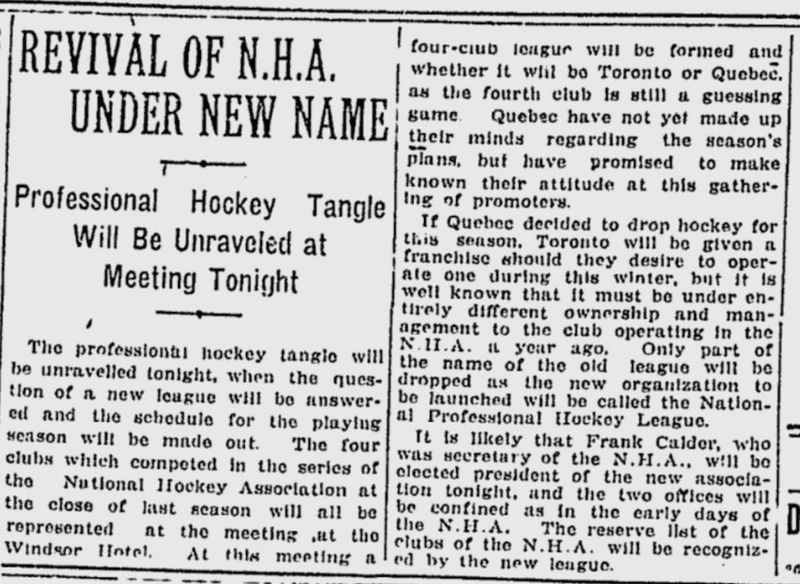 So, the name was already in the air, and it was expected that all would be worked out at the meeting in Montreal on November 22 … but it wasn’t. 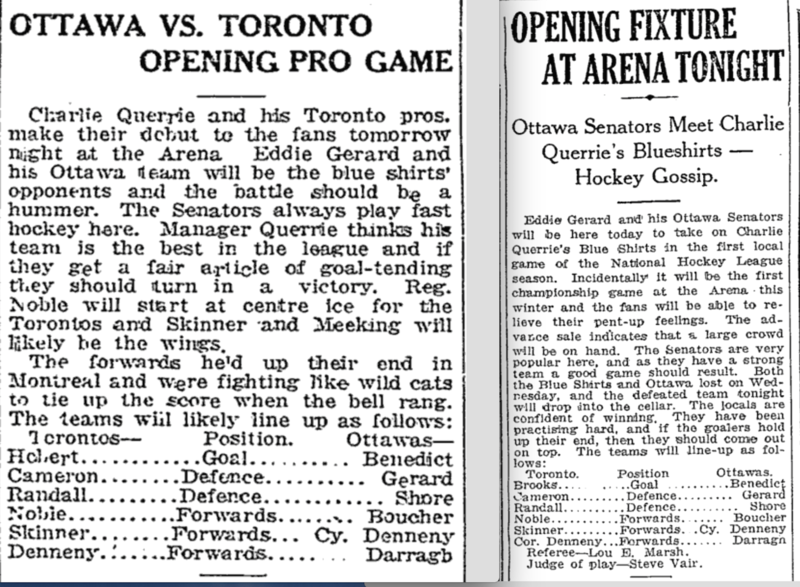 With Quebec dithering about whether or not to enter a team, no decisions were announced that day. 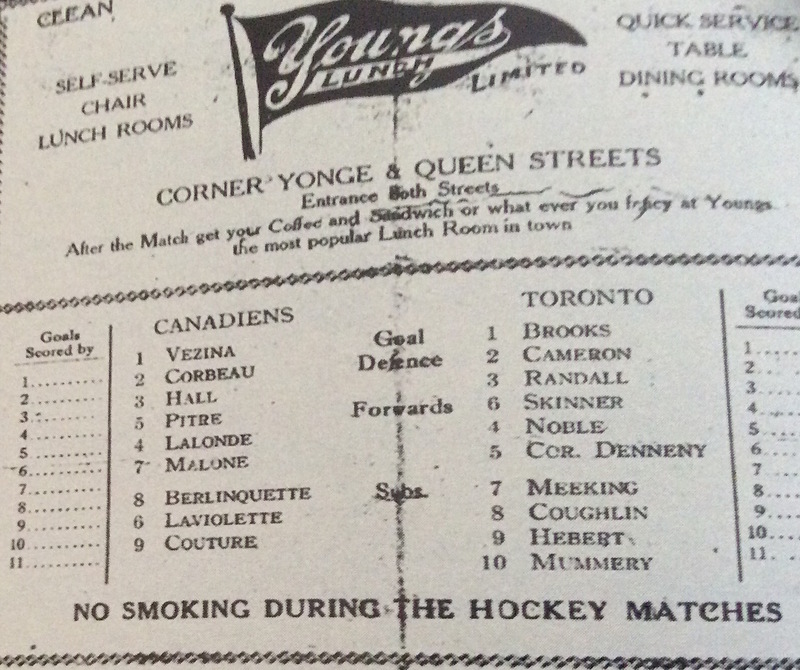 It wasn’t until November 26 that Quebec officially opted out, and Toronto – under the stewardship of the owners of the Arena Gardens on Mutual Street – was given a team instead. 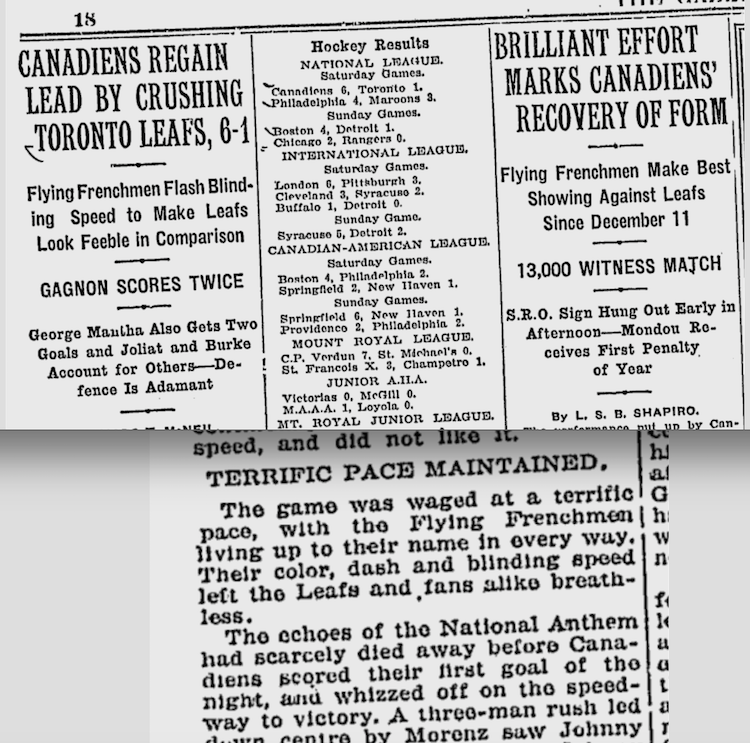 confirm that the NHL had come into existence the previous afternoon. 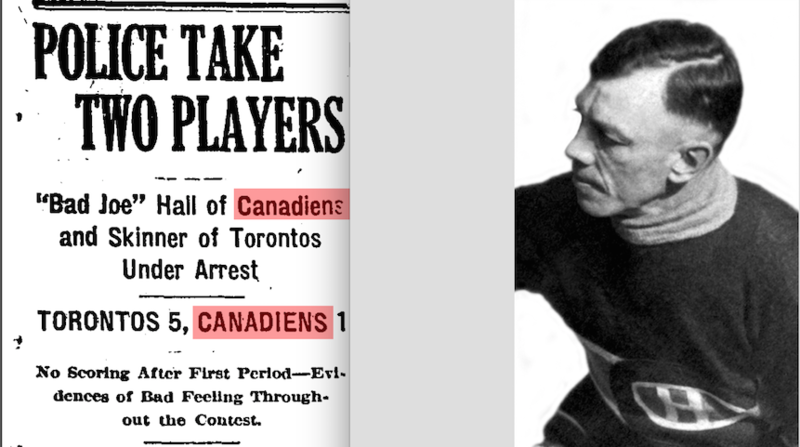 It wasn’t until the publication of the 2006 NHL Official Guide & Record Book in the fall of 2005 (after the lockout that wiped out the 2004-05 season) that the NHL began to recognize the date of its organization as November 26, 1917. 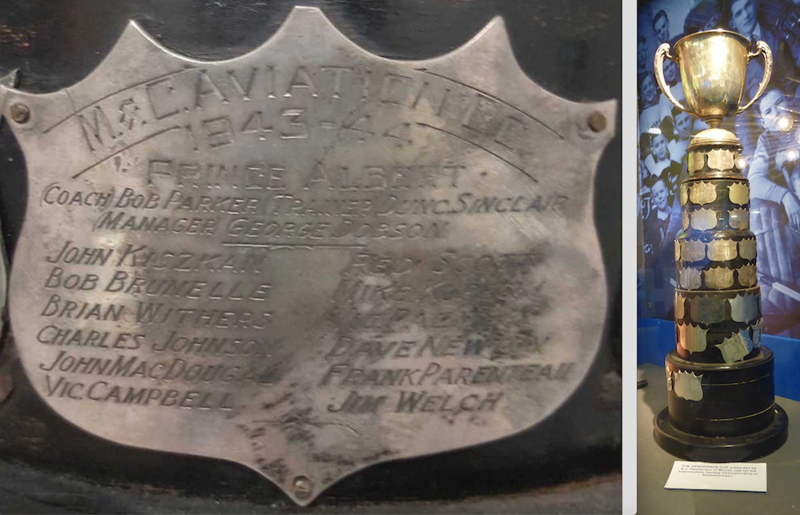 It seems to have slowly made its way into the world as the correct date since then. 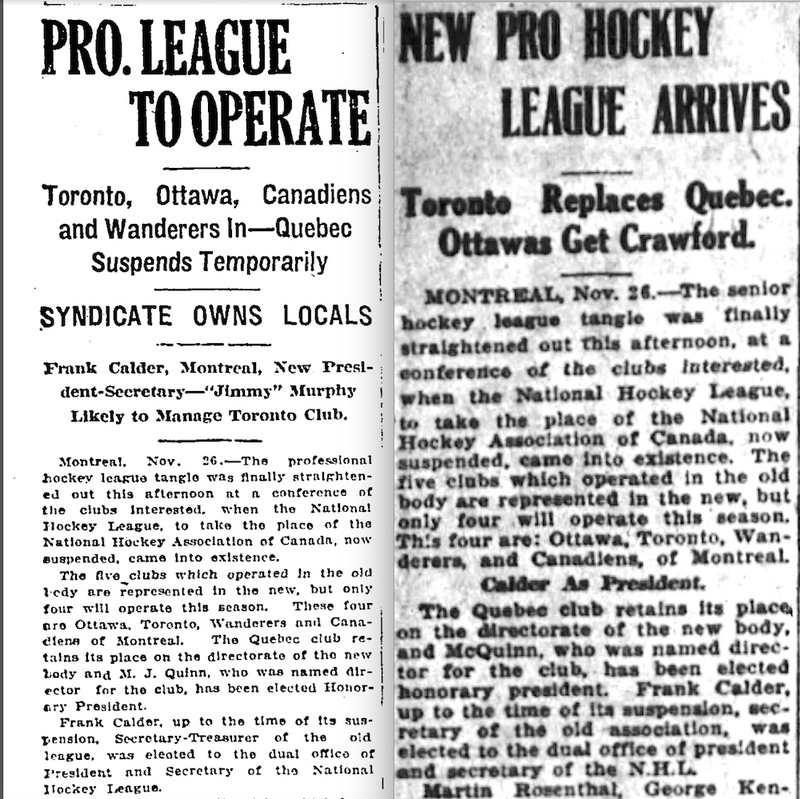 This week, on Sunday, the NHL will officially mark the 100th Anniversary of the Founding of the League on November 26, 2017. I’m certainly of the opinion they’ve got it right.